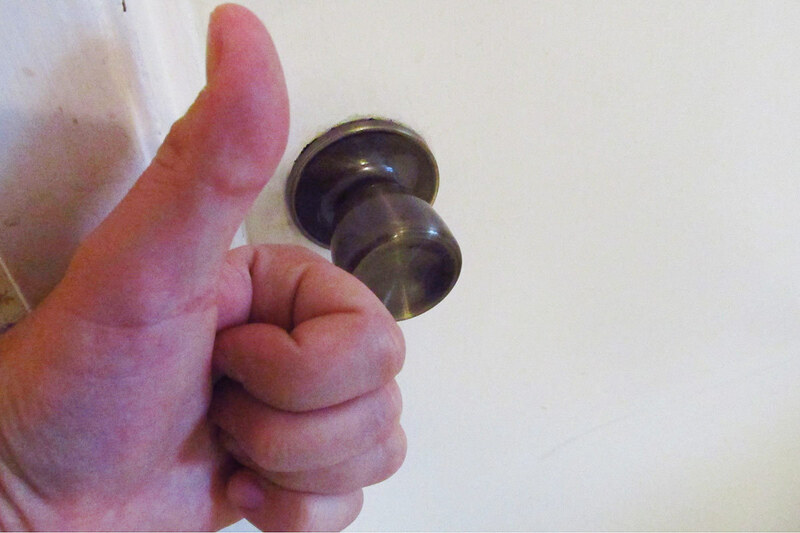 There are a lot of reasons to replace an interior doorknob with a new one. Maybe yours is too stiff or too loose. Maybe it’s worn out or doesn’t work correctly. Maybe it just looks outdated. Whatever your reason, replacing an interior doorknob is an easy home DIY project that only takes a few basic tools to complete. 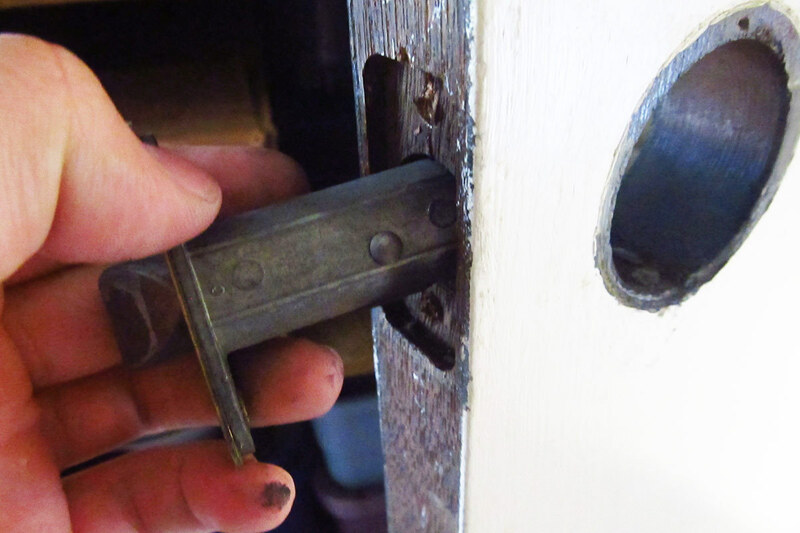 Before you start this do-it-yourself project, you need to obtain a replacement doorknob. There are a few different factors to consider. First is where the doorknob will be used. 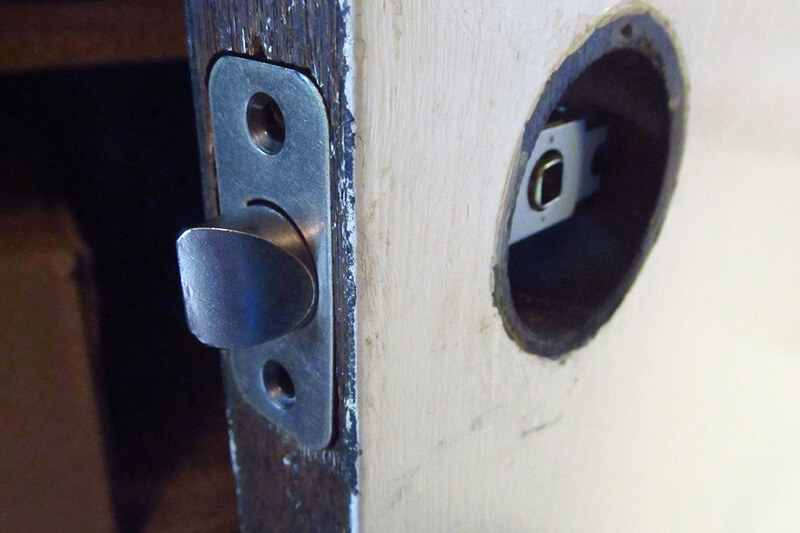 If it is for a bedroom or a bathroom, you might consider a doorknob with a privacy lock. 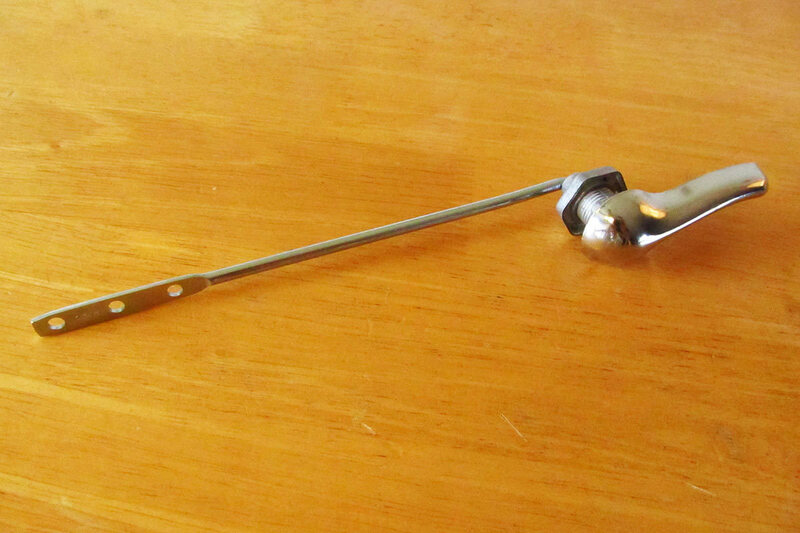 If you have a lever-style doorknob, make sure to get a right-handed or left-handed model, whatever one is appropriate. Finally, you need to buy a doorknob with a pawl of the same length as the one you’re replacing. A number of companies manufacturer universal interior doorknobs. These work on just about any interior door. 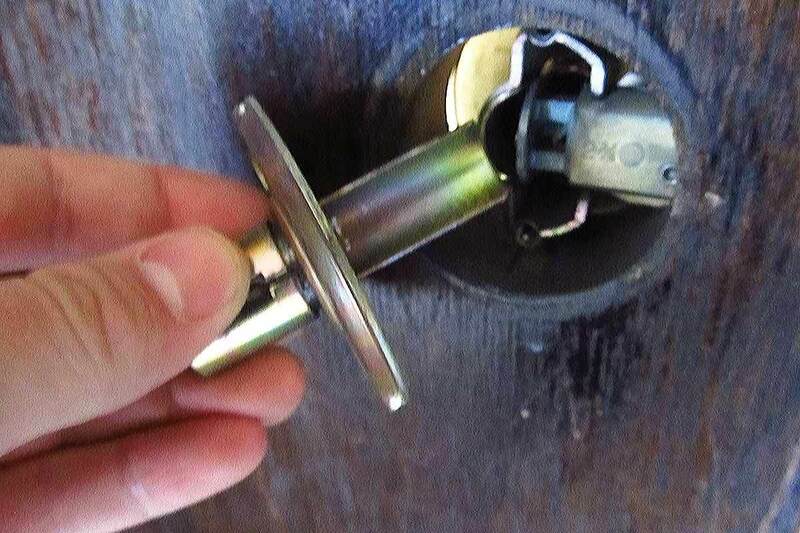 Not wanting to make any mistakes, I removed my old doorknob to take to the home improvement store with me. This allowed me to ensure I purchased the correct type of doorknob. 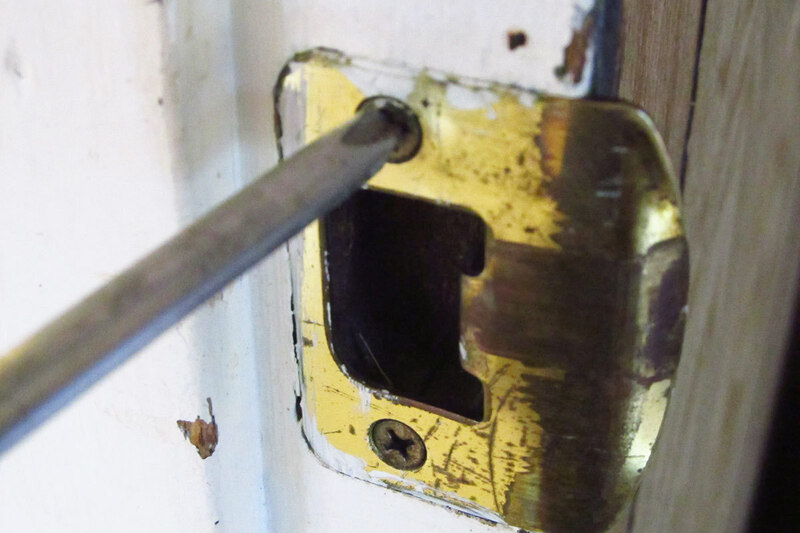 Use a screwdriver to remove the screws that hold the faceplate (the piece that covers the latch). 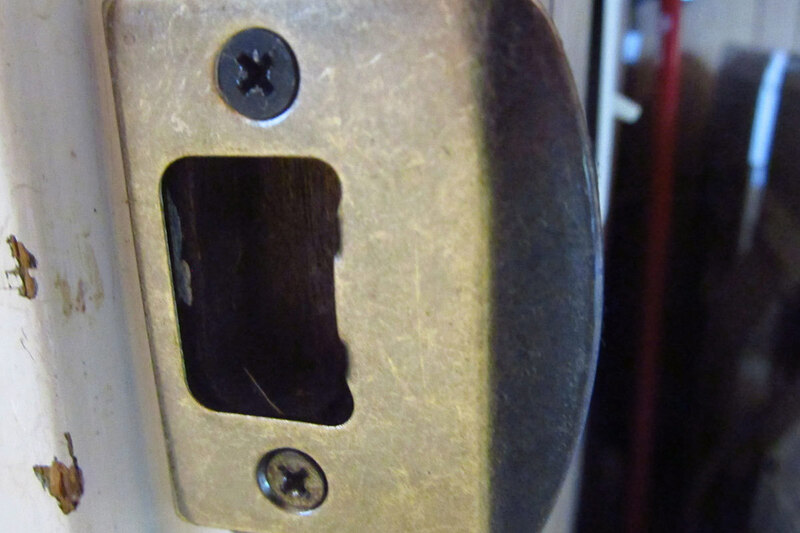 Most doorknobs have two faceplate screws. Remove the screws from the knob plate. 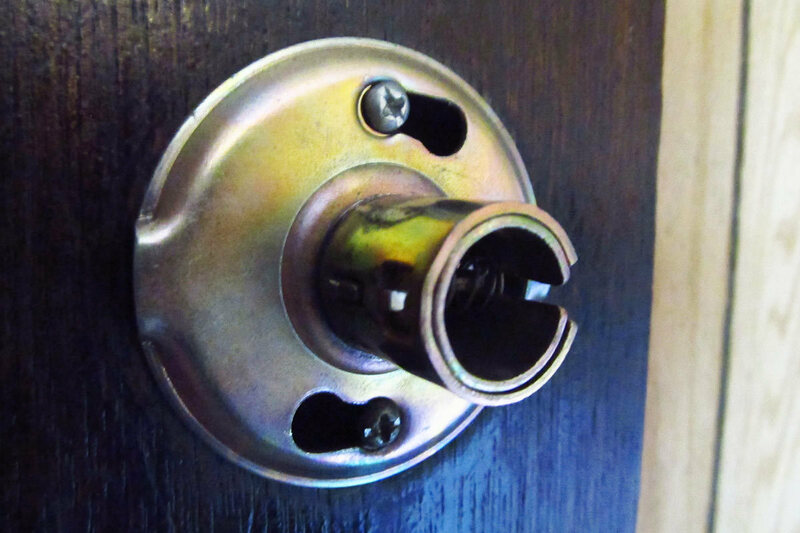 Most new doorknobs have clearly visible knob plate screws. The doorknob I removed was a very old model. It had a trim plate to cover the screws. This meant there were no visible screws. Most of these doorknobs have a small slot in the side near the knob. 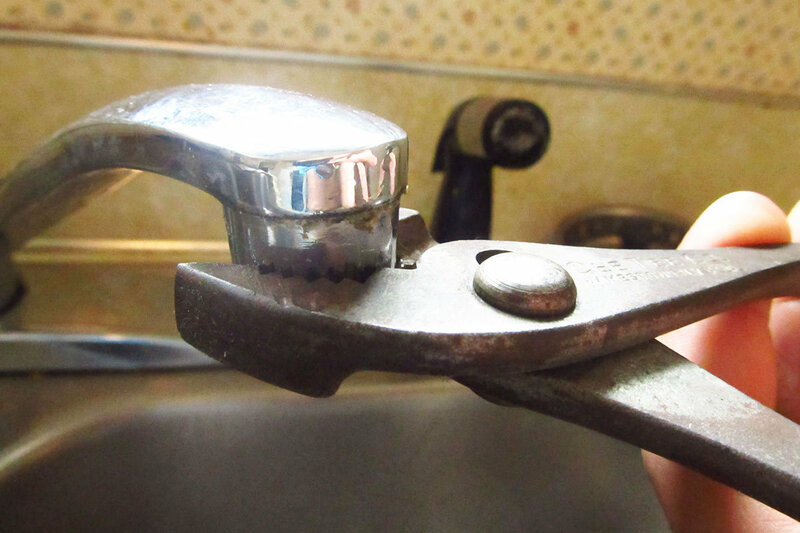 Simply press a flathead screwdriver into the slot to press the hidden latch. This either causes the knob to pull off or lets you remove the trim plate to access the knob plate screws. 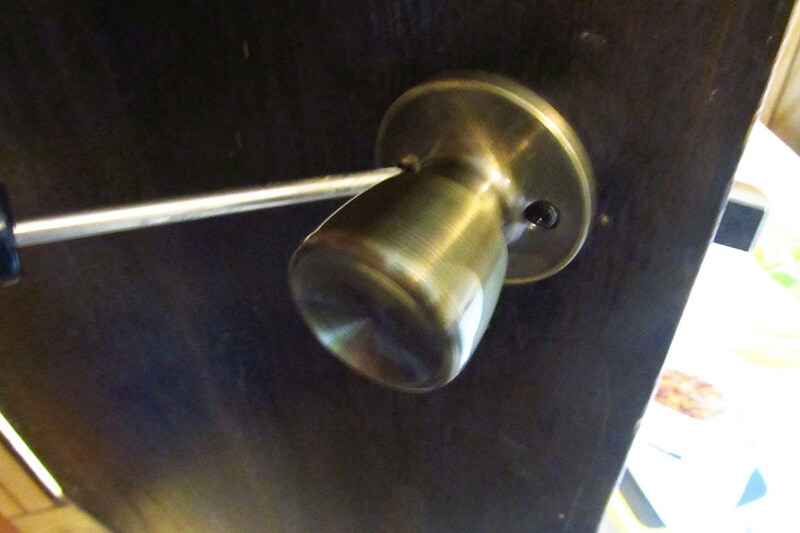 After removing the knob plate screws, the handles should gently pull off on each side of the door. After they are removed, push the pawl (the piece that runs through the door) out through the opening. 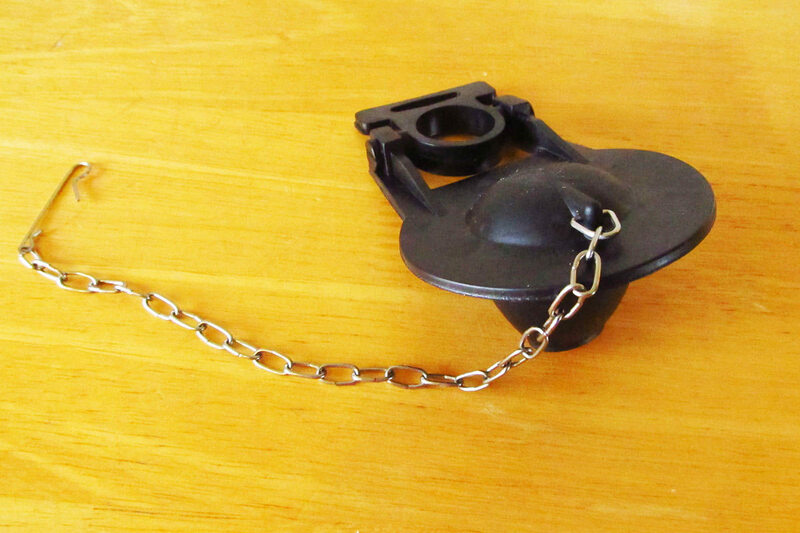 Because the faceplate is attached to this piece, it will also be removed when you push out the pawl. The strike plate is the piece that is attached to the doorframe. Loosen the screws to remove it. The next step is to install the new pawl piece. Most of the time this is as simple as pushing it through the opening. In my case, the opening was slightly too small. I placed a small block of wood against the faceplate of the new doorknob and gently hammered it in. In rare instances, you might need to drill the hole larger. Most new doorknobs also come with a collar piece to take up the extra diameter if the hole is too big. I didn’t use the collar piece that came with mine. 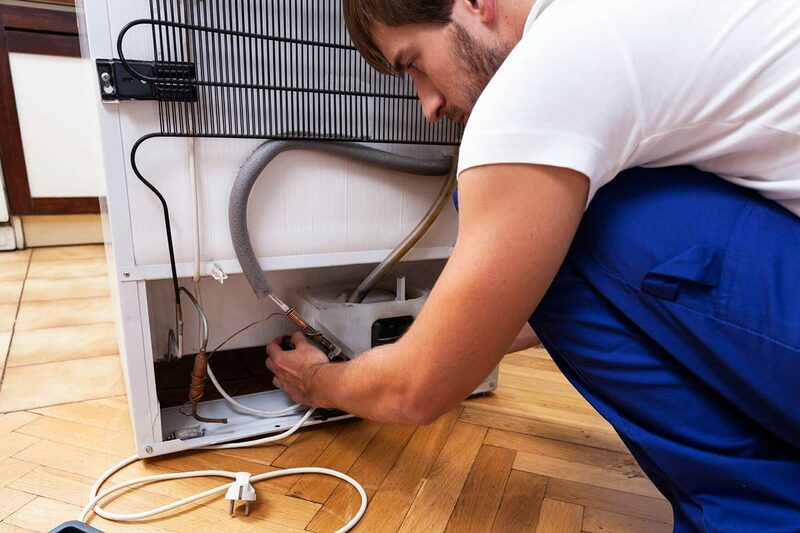 It’s very important to make sure your pawl is facing the right way when you install it. The slanted latch part of the pawl should face the direction the door will close. In other words, the slanted part should meet the strike plate when the door is closed. Screw the new faceplate to the door. Insert the new doorknob handles into the door. The square peg should fit through the opening in the pawl. The screw holes in each doorknob should line up with the one on the other side. Make sure that any locks are facing the right direction. Tighten the screws that hold the two sides of the handle together. Screw the new strike plate to the doorframe. If all went well, everything should be in perfect working order. Sometimes small adjustments need to be made to ensure the door closes properly. These usually involve making sure both the strike plate and faceplate is flush. 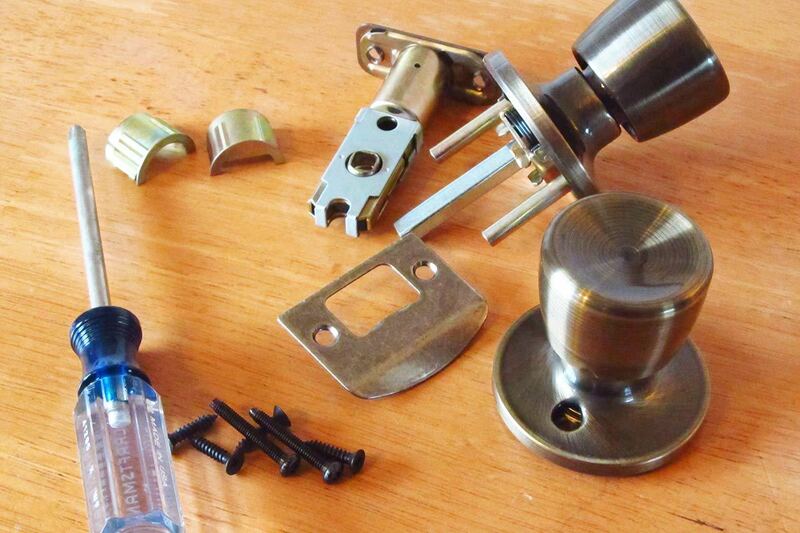 Replacing an interior doorknob is an easy home DIY project almost anyone can do. 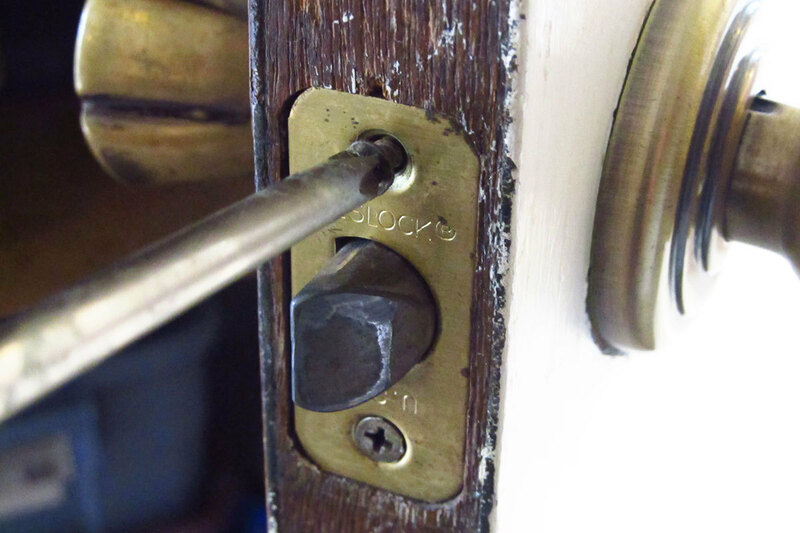 Make sure to buy the correct replacement model doorknob and you’ll be all set. If you still have trouble, the instructions provided with your new doorknob should clear your questions up.